Today, it’s a pleasure to share our 2017 Annual Report with you. Hot off the digital press, the report is full of stories, photos and even music (yes, Namuli now has an official community conservation song!) straight from our field team in Mozambique. This year was all about relationships. From investing in local leaders to supporting them to learn best practices around agricultural co-operatives, from creating natural resource governance committees to hosting a campaign for conservation using puppets and song, this year was a mile a minute. 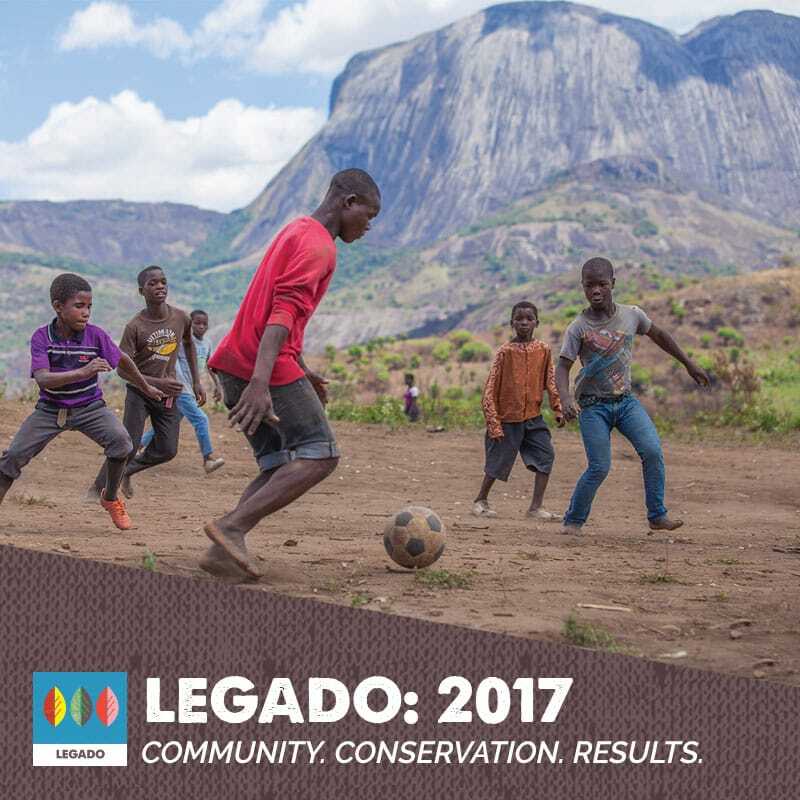 Here at Legado we have an incredible community of donors, champions and sponsors – including you! We are proud of our high level of transparency and integrity when it comes to how we put your generous donations to work. You can check out a review of our 2017 financials here. This year we were awarded a Google Jump grant to use Google’s virtual reality technology and Jump camera to tell a story of a Mozambican raindrop on its journey from the top of Mount Namuli all the way back to the ocean. Stay tuned for the release in 2018. These highlights are really just the tip of the inselberg and I’m looking forward to hearing your thoughts and feedback on the full impact of your support.